Theses printing and binding from just 2 hours. 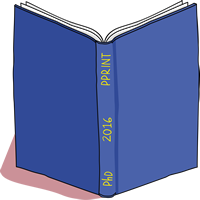 Welcome to Prontaprint Russell Square, the thesis production specialists. We work with thousands of students just like you who are struggling to find a cheap, reliable thesis printer. 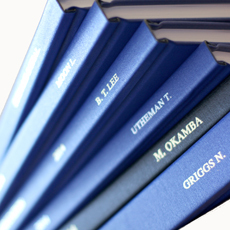 We offer thesis production in as little as two hours with our fully guaranteed promise of completing it on time. Why use us? 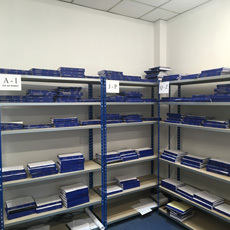 We have years of experience in producing thesis to Coventry University’s specification with the cheapest colour printing price for thesis that we know of. We offer a 2, 4, 24 or 48 hour service or delivery to any UK address in just 3-4 working days or a central London Express same/next day service with colour printing at just 19p and binding from just £18. Prontaprint has been a lifesaver! My team was hosting two events in London for the first time and I was tasked with finding reliable sources abroad to help get the job done. Prontaprint had everything I needed. In addition to their printing services they also had notepads, pens, and provided delivery. Ashley and Mark were of fantastic help to me working with my timezone and answering all of my questions. Thank you again! I had a variety of questions and a request for something particular that wasn’t advertised on the website. Questions were answered with friendliness, my awkward request was sorted out, and the two final copies of my PhD thesis were ready and waiting when I arrived to collect them. A big table in the middle of the room allows you to go through your volumes, check them over and add anything in. Everyone is friendly and helpful and the whole process, about which I was extremely anxious is reassuring. This is the second time I have used them, and both were good experiences. Efficient and friendly service – even replaced a page just before binding my thesis when I realised I needed to rectify an error. We are a forward-looking, modern university with a proud tradition as a provider of high quality education and a focus on applied research. Our students benefit from state-of-the-art equipment and facilities in all academic disciplines including health, design and engineering laboratories, performing arts studios and computing centres. We have been chosen to host three national Centres of Excellence in Teaching and Learning which has enabled us to invest substantial sums of money in health, design and mathematics. Our city-centre campus is continually developing and evolving, and we have plans for further investment in it over the next few years. We are a major presence in Coventry, which contributes to the city’s friendly and vibrant atmosphere and also enables us to foster successful business partnerships. Through our links with leading edge businesses and organisations in the public and voluntary sectors, our students are able to access project and placement opportunities that enhance their employability on graduation.